The process of cooking a delicious lush cheesecakes a little different from baking a regular. However, in this case, there are nuances, without complying with which you are unlikely curd cakes will turn out magnificent. There are many recipes lush cheesecakes. Some of them involve adding to the dough soda or baking powder. These components are really able to give the pastry lightness, but not overdo them. So, excess soda dish will add a specific taste, which can hardly be called pleasant. 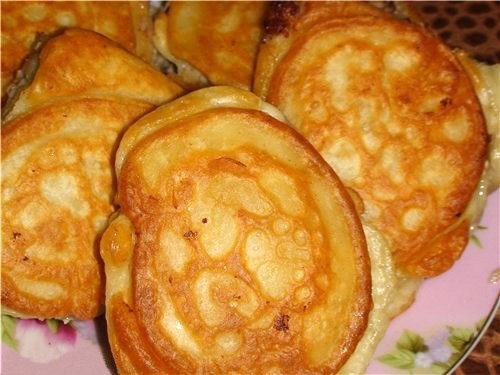 To make cheese cakes were air, do not be lazy to wipe cottage cheese through a sieve. Its consistency will be more uniform, and the dish will ultimately take additional softness and juiciness. Do not pour in the dough and lots of flour. In this dish it is only necessary to ensure that the dough was dense and did not spread. The main note plays cheesecakes cheese, not flour! Excess flour will make them harsh and completely not magnificent. Try replacing the flour with semolina. The dish will be more delicious and melting in your mouth. Just be sure to let the dough stand for 15 minutes to croup could swell. Soda can be added directly to the formed cheese. Placing them in a pan, add little bit of baking soda dough in an instant will become more lush. Just don't overdo it with the number! Otherwise the taste will be spoiled. Choose not too fatty and preferably granular cheese, with no extra additives. The best option - product with a fat content of 18%. 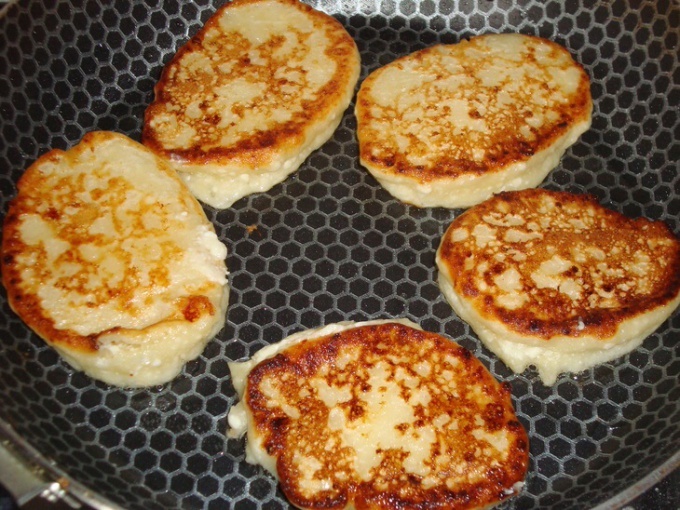 It is impossible to pour in the dough, lots of sugar, as when dissolved it will make it watery, as a result, the cheese in its form will resemble the sole. Before sending them into the pan, wait until the oil for frying boil. Only the number should be minimal. Don't be afraid to dream. In the dough you can safely add banana, raisins, Apple, vanilla, cinnamon, or any dried fruit. 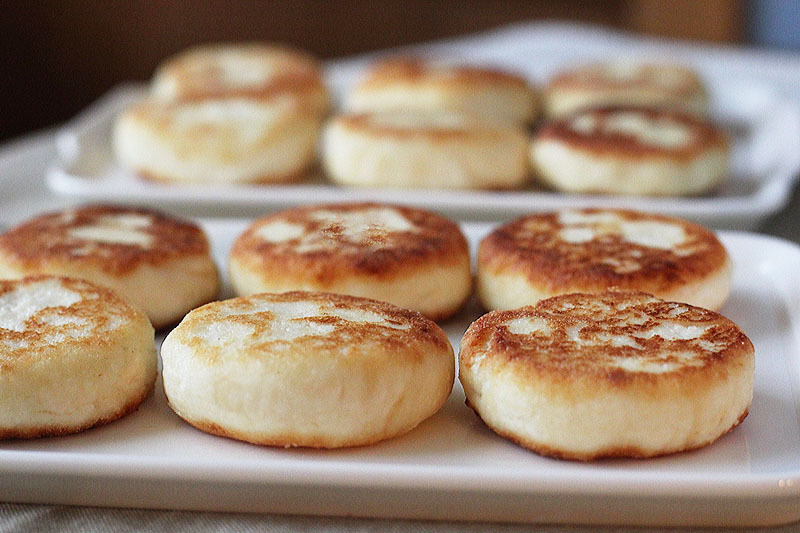 Cook cheese cakes can not only pan, but also in a slow cooker, the oven. Thoroughly mash the curd with a sieve with small holes. Separate the yolks from the whites. First whisk with sugar and one with salt. Wash the raisins, dry it on a paper towel. 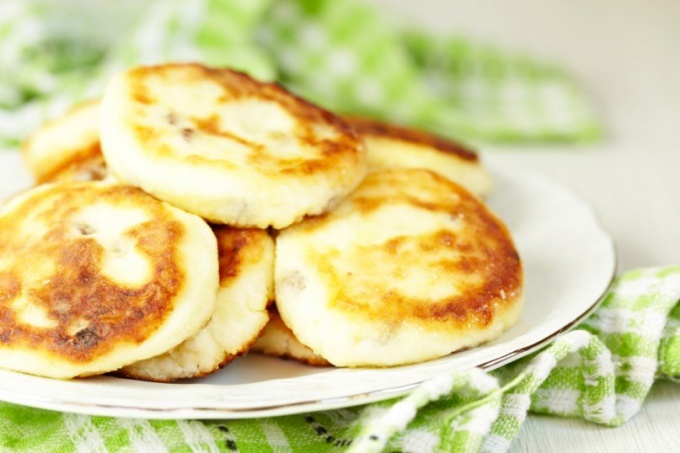 Mix the dried fruit with cottage cheese, beaten egg yolks and protein, as well as flour. Weight should be homogeneous. Dial spoon dough and shape by the hands of cheesecake. Roll it in flour and place in a pan with hot oil. Fry until Browning on both sides. 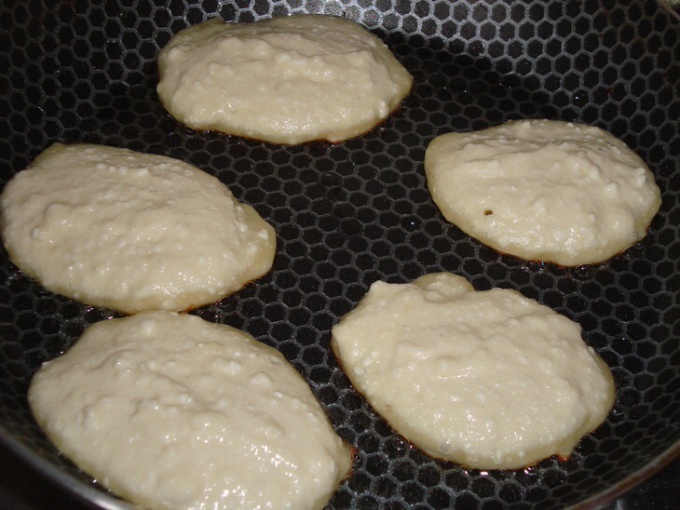 Put the finished pancakes on paper towels to remove excess oil. 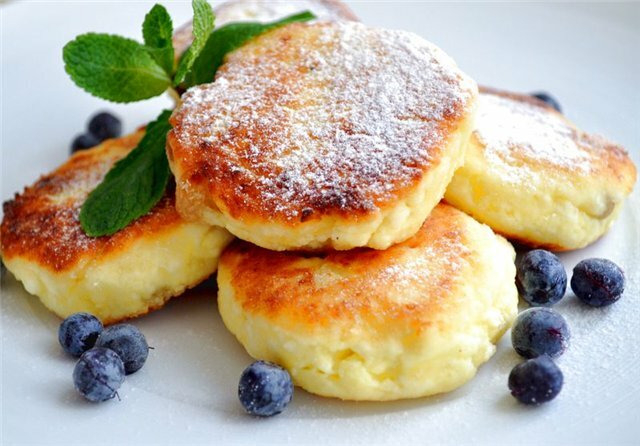 Serve the cheesecakes on the table, preparativ them with powdered sugar, watering sour cream, jam or condensed milk. They are especially good warm.